“Beyond the everyday world … lies the world of VAT; a kind of fiscal theme park in which factual and legal realities are suspended or inverted” said Lord Justice Sedley, UK Court of Appeal 2001. Oh how different from the then Chancellor of the Exchequer Anthony Barber’s declaration prior to the UK’s introducing VAT on 1st April (the date won’t escape you) 1973: “VAT will be a simple tax on the supply of goods and services”. If you add in dealing with EU VAT, it can quickly feel very complicated. In theory all EU countries follow the same rules but in reality they do not. This is exacerbated by the concept of ‘derogation’: there is even a separate EU Article which deals with this! There are tens of thousands of products in the UK alone; different rates apply - standard, reduced, zero, margin schemes and exempt. This is multiplied by 28 countries, all with differing standard and reduced rates and different procedures. And all these change regularly. Even the most ‘simple’ VAT has become a complicated Europe-wide minefield. Medley looks right. So how to deal with ever more complicated questions by clients from Chicago to Chongqing? Whilst great for our consultancy revenue, answering them safely and yet remaining cost effective was a challenge. It was becoming more difficult to provide our routine international VAT recovery and VAT return services with the ever increasing volumes of financial data being sent to us. We decided technology was the inevitable way to go. Improvements to our operating systems was a starting point but we decided to go much further. After five years, many headaches, and hundreds of thousands of pounds, we had developed our VAT forensic software. It gave the ability to upload half a million records for a client over the last three years, and with one click (well maybe a few! ), we could run specially designed VAT tests and, hey-presto, a list of all the potential VAT errors was identified. Clients, both here and abroad, were delighted that we were helping with their corporate governance and accountability. We thought it was great - time saved, revenue from an additional service, more effectiveness and more transparency for our clients. My team are now free to focus on what we were really good at – investigating the complex stuff. We were delighted that Gatwick Diamond judges thought so too! We have found all kinds of errors. I won’t mention names to protect the innocent (or should it be guilty!). We discovered VAT not claimed on purchases or overseas expenses, invoices showing incorrect VAT, or not showing it at all, inconsistent treatment of inter-company invoices. Hundreds of times we’ve detected VAT paid twice (in one case 3 times!) and underlying duplicate payments. One of these was a real nugget - a £3million duplicate payment for gold. I wish we had been paid commission for that one! All of the expertise and knowledge in the world is of no use if the data itself is incorrect. We have seen countless examples where this is the case. All it requires is someone to input incorrect VAT Codes and the VAT Returns and other reports are incorrect. To make matter worse, tax offices are becoming more stringent with more inspections and large fines for non-compliance. This, combined with personal liability for finance directors, becomes a growing threat. As Ronald Reagan said, “Trust but verify…” This is a good maxim for financial reporting. Our VAT data analytics have therefore proved invaluable, both in-house and to clients. However, EU VAT legislation is still constantly changing - viz the ‘Rumsfeld-esque’ known unknowns: the Mini-One-Stop-Shop (MOSS) is about to be extended, plus distance sales thresholds will rise. And of course the as yet unknown changes arising from Brexit. Even without these changes how are businesses that trade in Europe expected to cope? The hurdles are many. Consider a multi-national with numerous subsidiaries registered in multiple EU states. Hundreds of VAT returns, Intrastat reports and EC Sales Lists may be required: many monthly. Either they require an in-house team with up to date training or they pay to outsource it to specialists like ourselves. The same applies for small businesses trading in just one or two countries. Aside from language, how do they deal with the varied requirements of different countries’ VAT returns. Italy, for example, has nearly 600 boxes to complete. 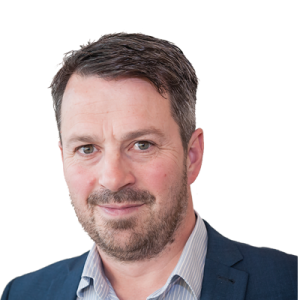 At present, most of those working in the VAT industry - tax authorities, companies and agents - are not fully exploiting the potential of technology in dealing with VAT problems. We can either get ahead of the game or wait for problems to hit us. It seems blindingly obvious to me that technology has to be utilised further and in depth. 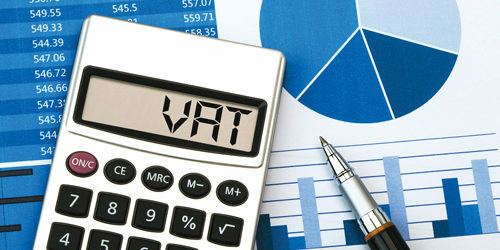 In January, VAT International launched VIVAT – an on line application to do VAT returns in any EU country. It is effectively a fully automated DIY approach. There is no software installation or up-front costs – just pay as you go. You might say, “But Sage does my VAT return.’ Of course it does! But does it run VAT compliance checks at the same time? Does it also do an Austrian Return with VAT compliance checks thrown in? And what about Germany, France, Belgium and all the other EU states? And can it prepare 14 countries ready for submission simultaneously in less than a minute? Technology can be a great friend: that is why we have embraced it. We aim to make VAT simple: Barber not Sedley.